These Are A Few Of Our Favorite Things | Where It's AT. The Ability Tools Blog. Here at Ability Tools and our parent organization, The California Foundation for Independent Living Centers (CFILC), we have used and worked with our fair share of assistive technology. In this second annual blog you will find testimonials from some of our staff on their favorite AT devices this year. A young man and his mom at a Voice Options Demo. 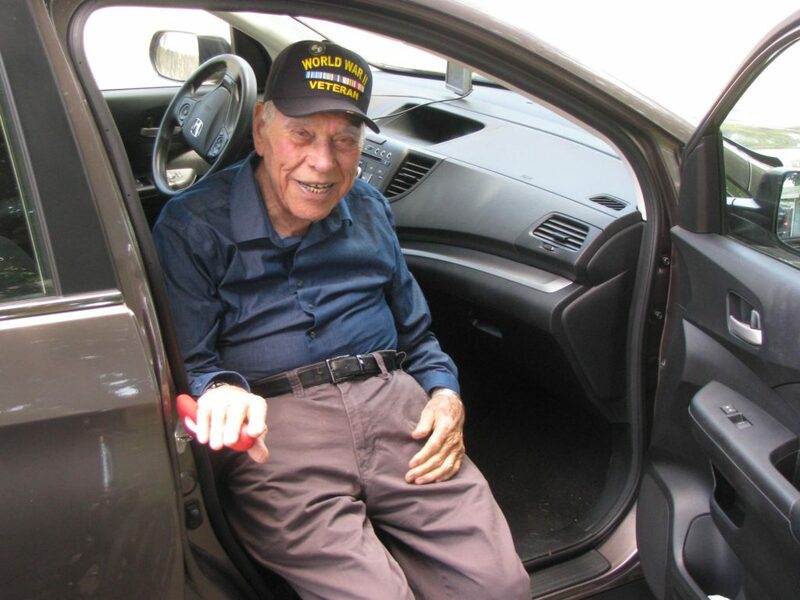 One of my favorite devices of AT is part of an 18-month pilot program called Voice Options. 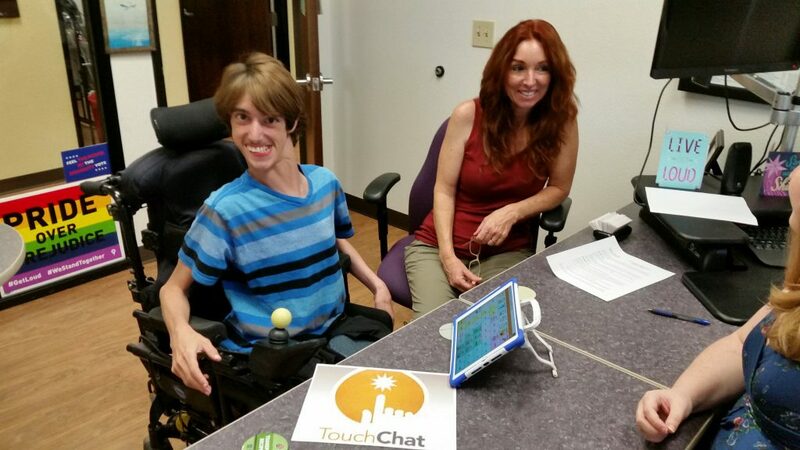 Voice Options offers iPads with speech applications to people with speech disabilities. Speech applications designed for iPads allow users to control an alternative voice. Users enter what they want to say on the iPad, and it is voiced through speakers. By using an iPad with a speech application, it makes being understood easier and most importantly, allows people with speech language disabilities to speak independently. Phil’s dad using the handy bar. My favorite AT is the handy bar, which my dad used frequently. He didn’t like everyone helping him to get in and out of the car, and having people pulling him up hurt his back. The handy bar gave him the ability to have more independence and go places with his friends. 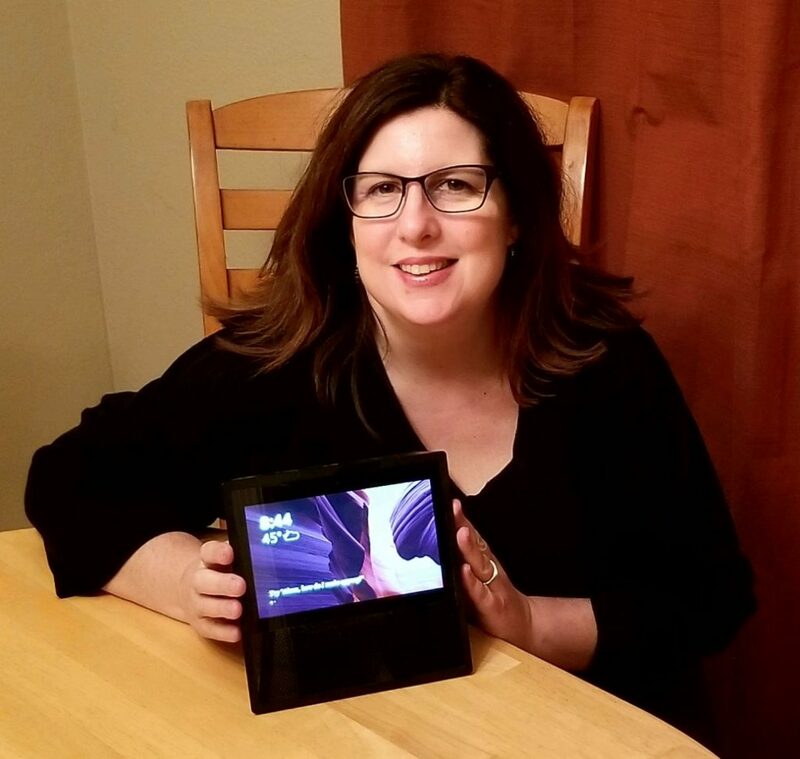 Jackie holding the Amazon Alexa. My favorite piece of AT is the Amazon Alexa, which I use in my home daily. With the work that I do, by the time I get home each night my brain is very tired… Alexa helps me keep my shopping list organized, which makes grocery shopping a lot faster and easier. I have multiple devices throughout my home, and I love that I can add something to my list immediately, without having to search for pen and paper. I find that when using Alexa I have to make less trips to the store for forgotten items. I also use the timer quite a bit when cooking, and it is also really usefully for household reminders like turning off sprinklers in the yard or checking the laundry. I love that it’s hands free, and also has fun games too. 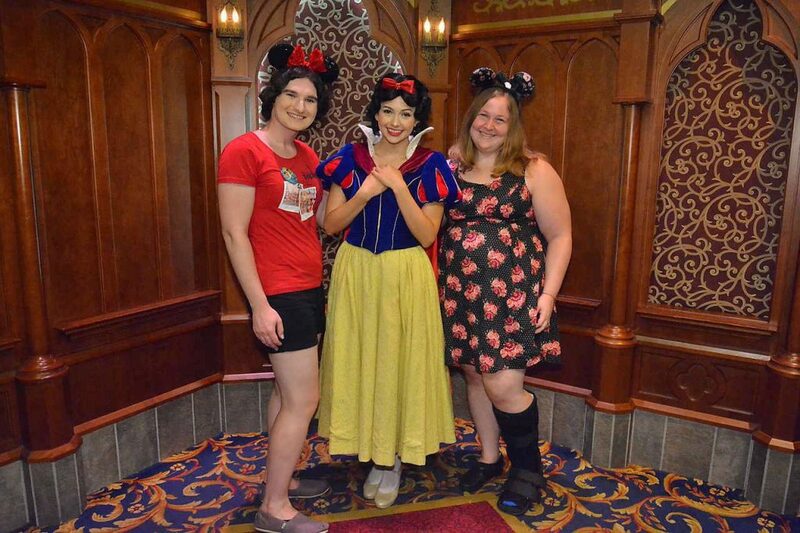 Megan wearing her walking boot while meeting Snow White. My favorite piece of AT that I used this year is a walking boot (also known as a walking cast). I have an injury known as Plantar Fasciitis, which results in a lot of heel pain, especially when walking. I used the walking boot to help me walk with less pain and allow my injury to heal, it even got me through two trips to Disneyland!